Shedding just a few pounds can lower the risk of serious health problems in obese adults, a small study suggests. Wouldn’t it be great if you didn’t need blood pressure medication or medication for your high-cholesterol. Are you a borderline diabetic? Losing body fat will solve all those problems and more. Don’t bother with your scale, measure your waist that’s the way you can tell if your losing body fat. The body fat that causes your body the most trouble is the fat around your waist. Measure your waist at the navel every Friday morning before you eat and before you get dressed. When you can buy smaller pants your losing body fat. Researchers looked at 40 obese people who lost 5 percent, 10 percent and 15 percent of their weight. The study published Feb. 22 in the journal Cell Metabolism found that 5 percent weight loss was enough to reduce multiple risk factors for type 2 diabetes and heart disease. “These results demonstrate you get a large bang for your buck with a 5 percent weight loss,” senior study author Samuel Klein, of Washington University School of Medicine in St. Louis, said in a journal news release. “Based on these findings, we should reconsider changing current obesity practice guidelines to stress a target goal of 5 percent weight loss, rather than 5 percent to 10 percent weight loss, which increases the perception of failure when patients do not achieve weight losses that are greater than 5 percent,” Klein said. Obesity is a major risk factor for chronic health conditions, such as diabetes, heart disease and cancer. Most treatment guidelines recommend that obese people lose 5 percent to 10 percent of their weight, the researchers explained. These findings could help motivate obese people to achieve manageable weight loss targets, Klein said. For a 200-pound woman, the findings suggest losing just 10 pounds could improve her health profile. Future studies should examine the effects of small amounts of weight loss on other obesity-linked health problems, such as arthritis and lung disease, the researchers added. I agree but I want to go a step further; weight loss is important but fat loss is what I want to emphasis. The major problem that overweight people have is too much body fat. When the percentage of body fat becomes too high, over 29%, your body doesn’t function normally anymore. Body functions tend to slow down and from that point on you will continue to gain body fat and lose muscle mass unless you change your diet and change your level of physical activity. Good health depends on a balance between the muscle in your body and the fat. Your body has to maintain both parts of your body mass. Your body doesn’t know how much fat is too much. That it leaves up to you. If you were growing your muscle mass the body fat would shrink but if you’re growing your body fat than your muscle will shrink. And that’s what happens to a lot of dieters; they lose weight by cutting back on food and they will lose a little fat but mostly they lose muscle. It can be a big difference; the average person losing 10 pounds will probably lose 7 pounds of muscle and only 3 pounds of fat. Exercise and a proper diet will help change that equation. Do you watch “The Biggest Loser?” If you notice they are trying to change the equation. They work the contestants vigorously to build muscle so the weight they lose is pure fat. That’s the real goal to improve your health you need to lower your percentage of body fat. You can’t do that by starving yourself. You have to stop eating whatever you’re eating and start eating fresh foods. Search on the internet for the Mediterranean diet. It’s the diet the Mediterranean people have followed for centuries. You don’t count calories and you have hundreds of choices. If you follow the diet and no cheating and stay on the diet you will become a healthier person and you will lose body fat over time. If you really want to lose your body fat than look for my e-books at the websites listed below. You’ll get information on Healthy eating, exercise, and diet. Instead of spending hours on the internet reading dozens of posts, you can save time by picking up one of my e-books. There are two e-books. “How Bad Do You Want To Lose Weight?” is available at all the online bookstores selling for $1.99. Go to any of the websites below and search the title to find my e-book. This book gives you all you need to lose weight without spending money on gym memberships, diet plans or meal plans. Look for my book. 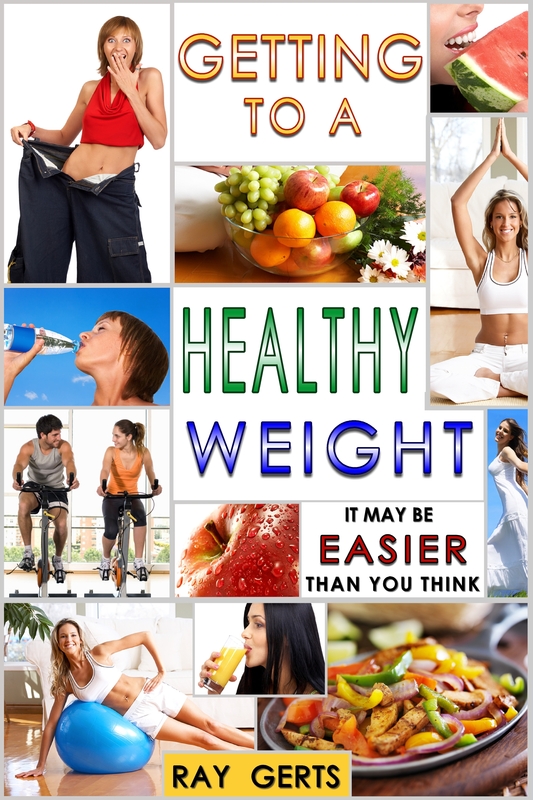 at Amazon.com, B&N.com, iBooks, Kobo.com, Scribd.com, or Gardner Books in the U.K.
My new e-book is available on Smashwords.com, just type “getting to a Healthy Weight” in the search box at the top of the home page. I'M RETIRE, I'VE TRAVELED TO MORE THEN TWO DOZEN COUNTRIES, SOME AS MANY AS 5 TIMES. I LOVE TO WRITE BUT EVEN MORE, I'M SOMEONE WHO HAS ALWAYS WORKED OUT. I HAVE DONE ENDLESS RESEARCH ON THE SUBJECT OF FITNESS. SO WHEN I DECIDED TO WRITE A BLOG IT WAS ONLY NATURE THAT I WRITE ABOUT MY FAVORITE SUBJECT. This entry was posted in lose fat, lose weight, losing weight, Uncategorized, weight loss. Bookmark the permalink.